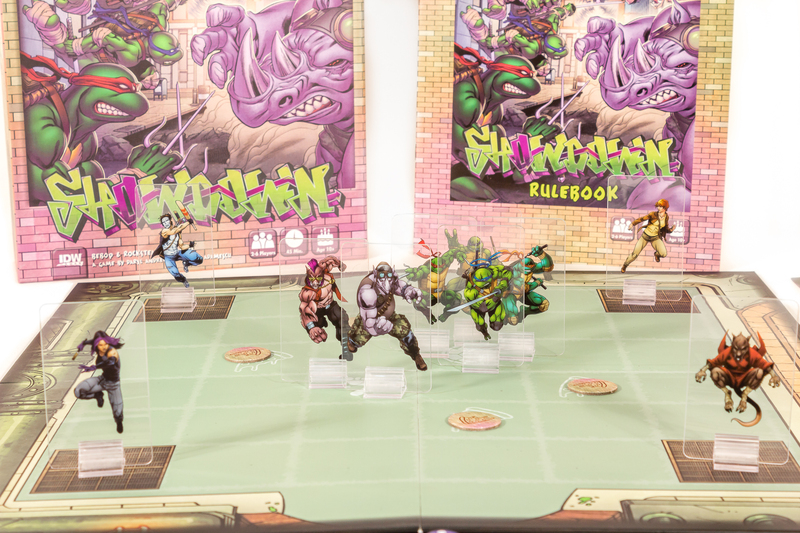 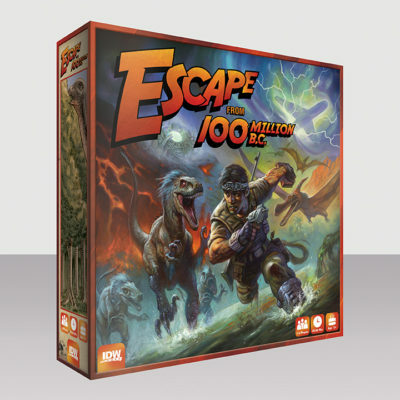 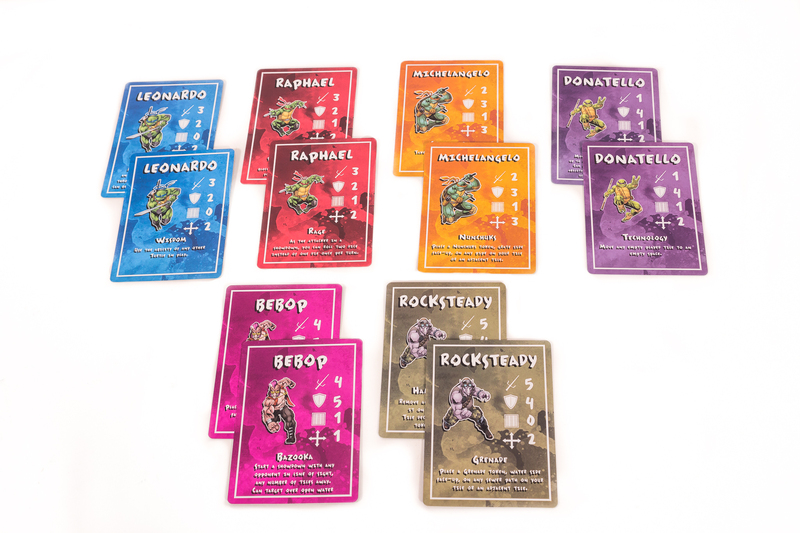 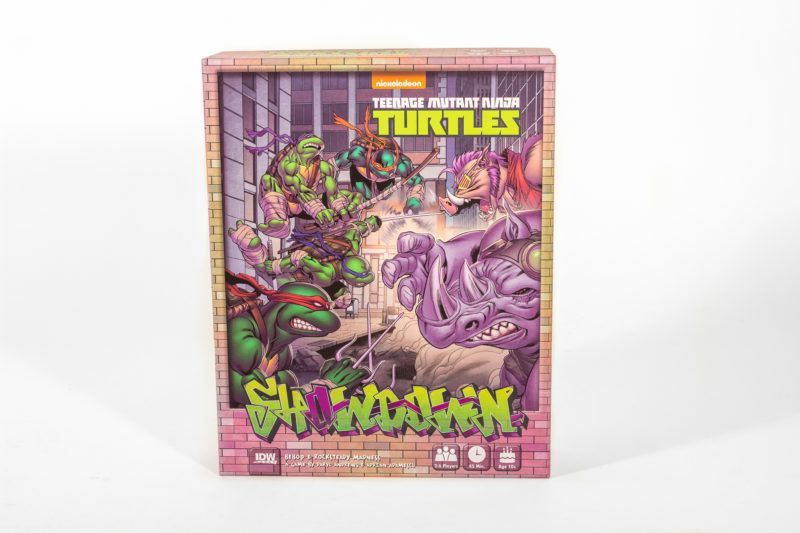 Game designers Adrian Adamescu and Daryl Andrews have created an epic battle for survival that takes 2–6 players through a high-powered adventure in the sewers of NYC. 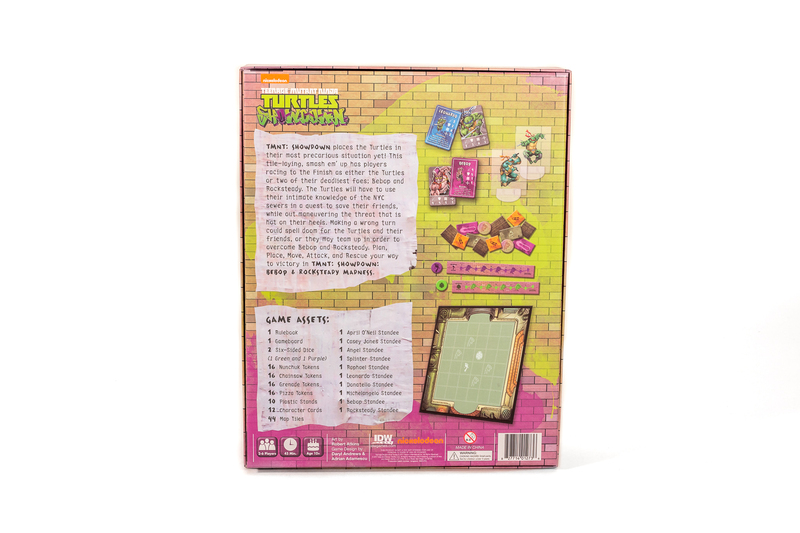 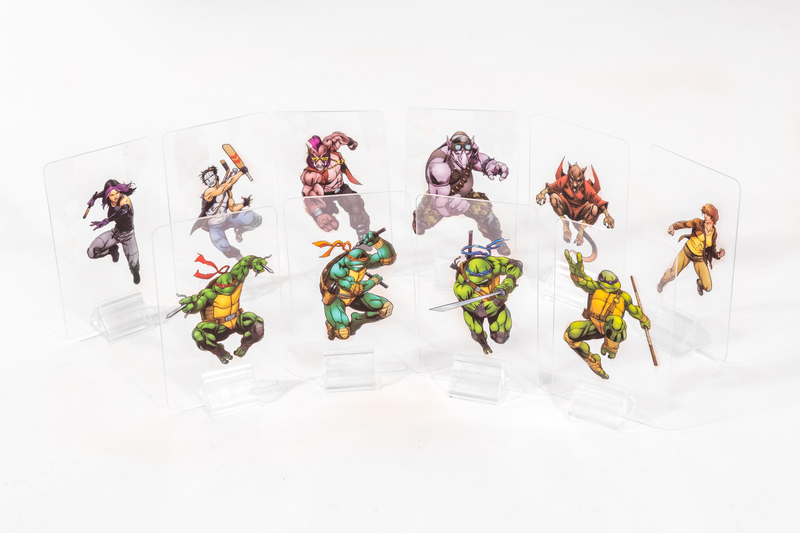 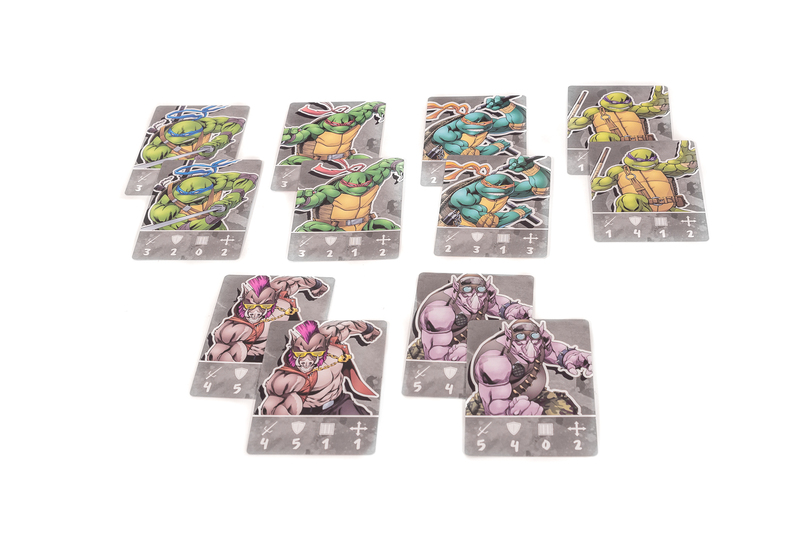 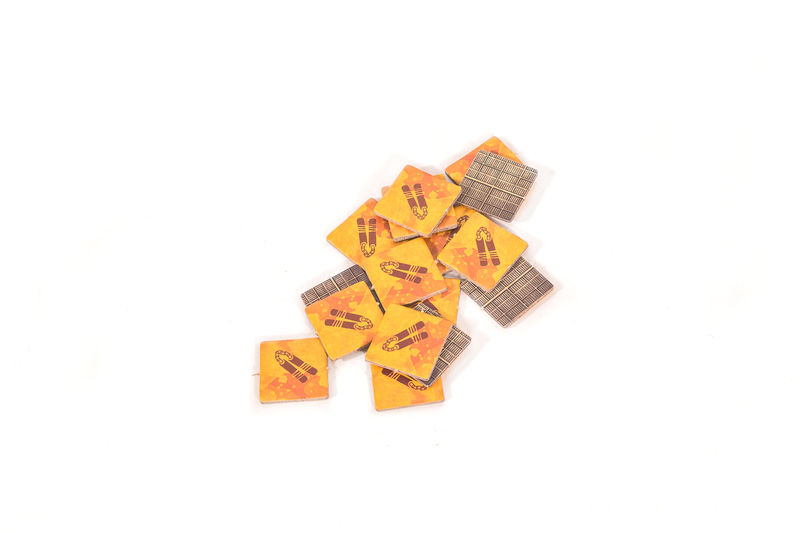 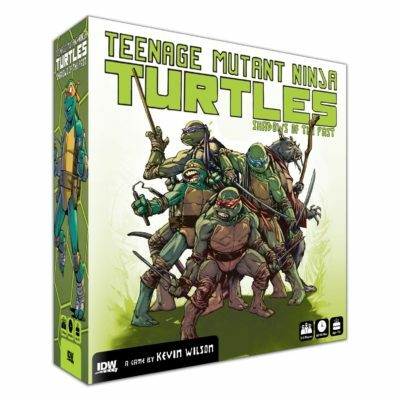 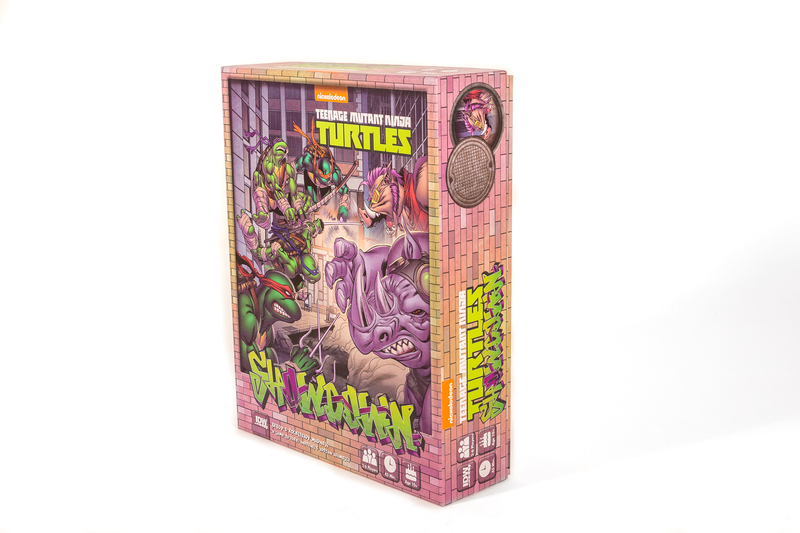 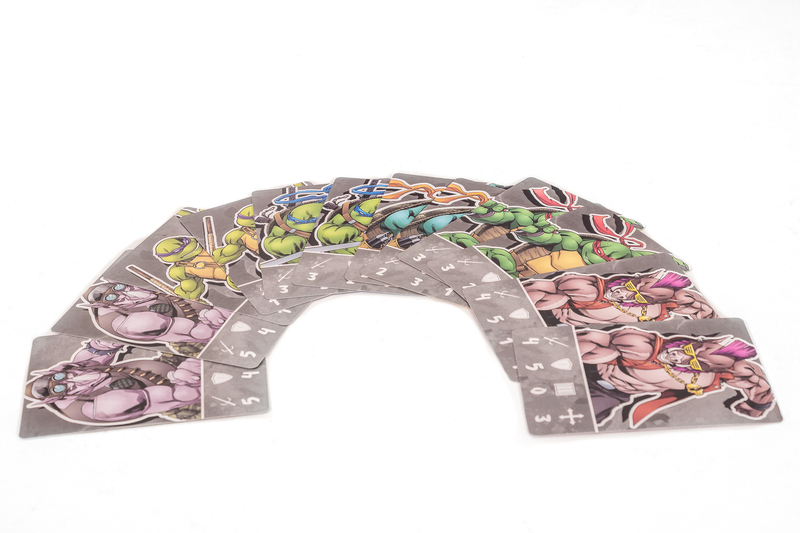 The Turtles will have to use their intimate knowledge of the sewers in a quest to save their friends while out maneuvering the threat that is hot on their heels. 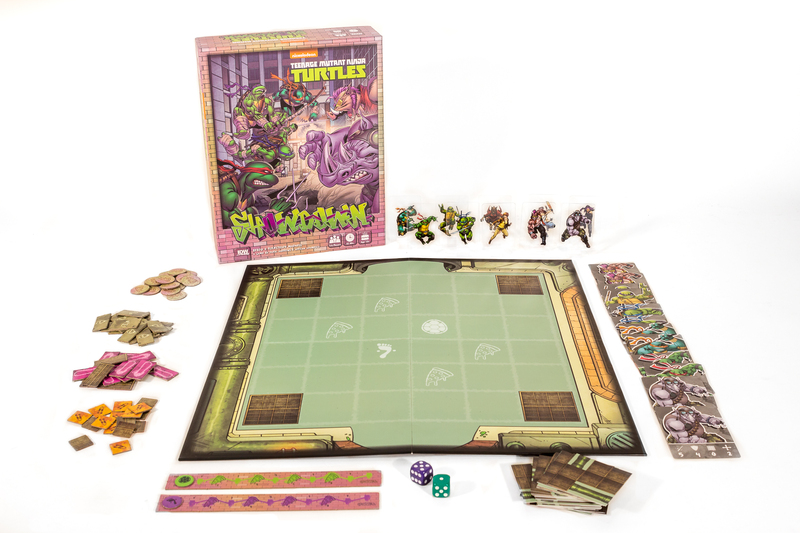 Making a wrong turn could spell doom for the Turtles and their friends, or they may team up in order to overcome Bebop and Rocksteady. 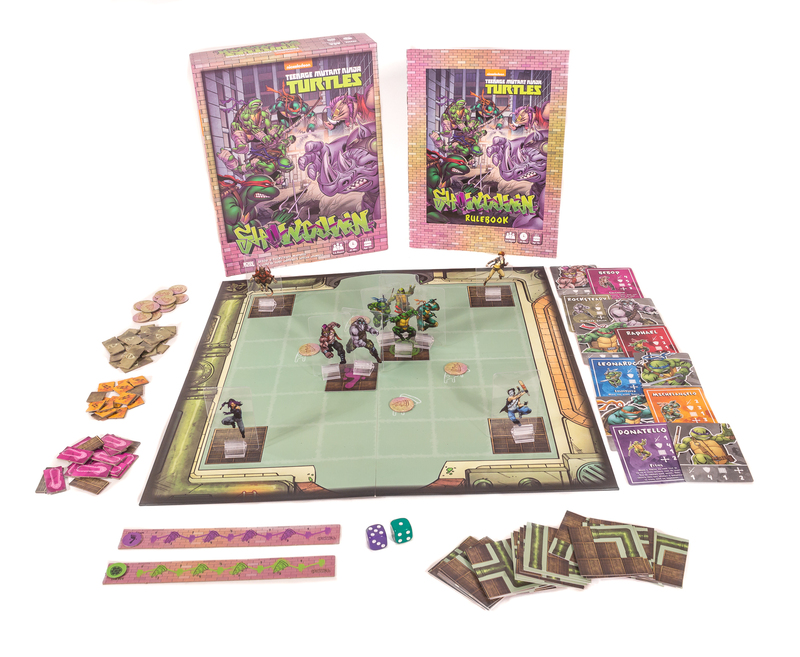 Plan, Place, Move, Attack, and Rescue your way to victory in TMNT Showdown: Bebop & Rocksteady Madness!